Last week we had some warm days and I moved my compost bin. It is so hard to turn the whole bin of material adequately, that it’s better to just move the bin periodically and get a good mix of the materials (and take the ‘finished’ compost out for other distribution). The stakes that I’d used to hold the cylinder of rigid plastic up were leaning toward the center too. 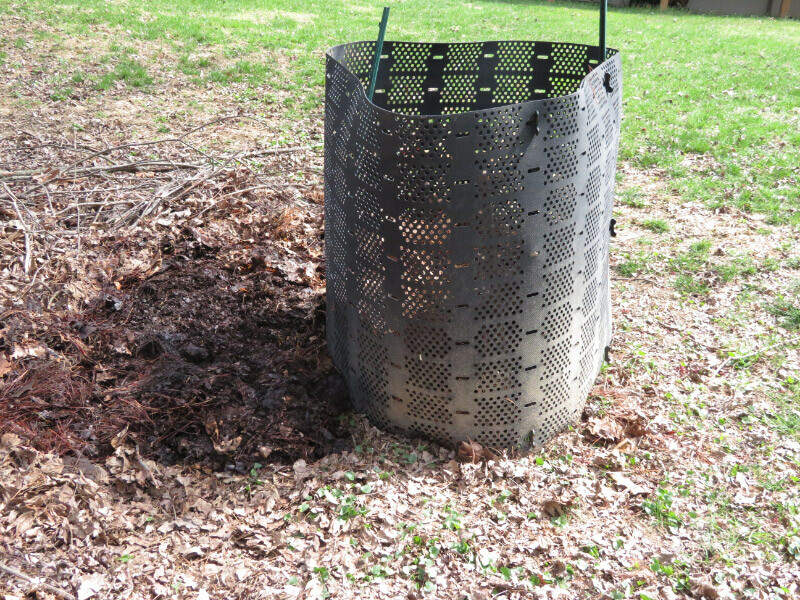 I decided to move the bin just a few feet away on a bare patch of dirt – still under the red maple. 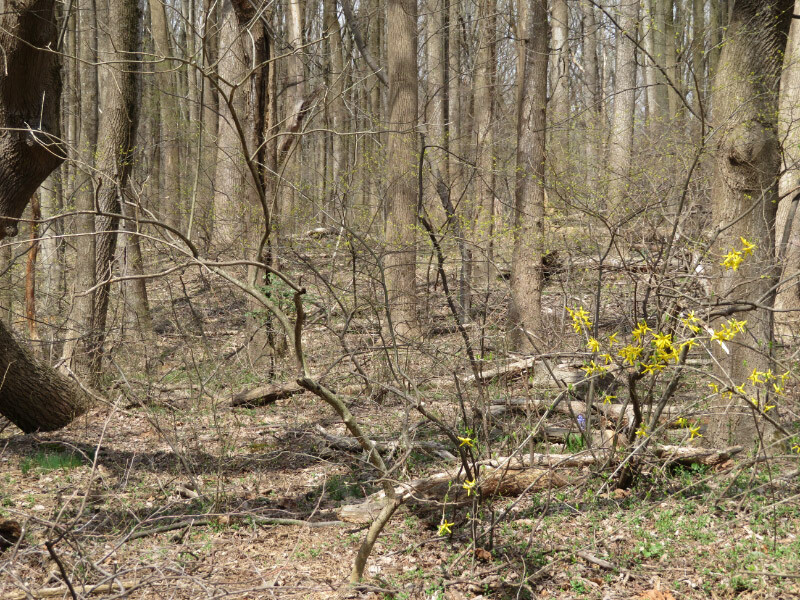 I got side tracked looking at the haze of yellow in the forest: spice bush in bloom. And the baby ferns in the mossy area under the deck. 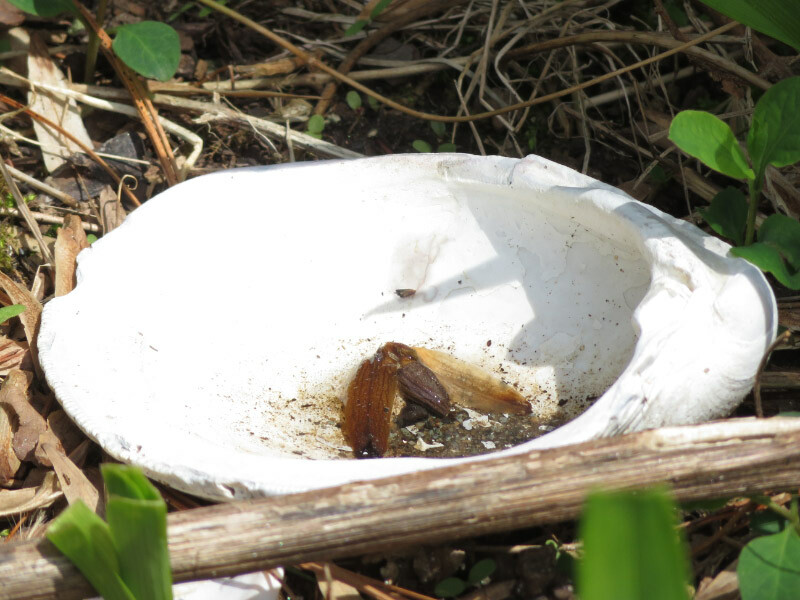 And a shell that had collected some water (probably need to turn it over so it doesn’t become a mosquito nursery). 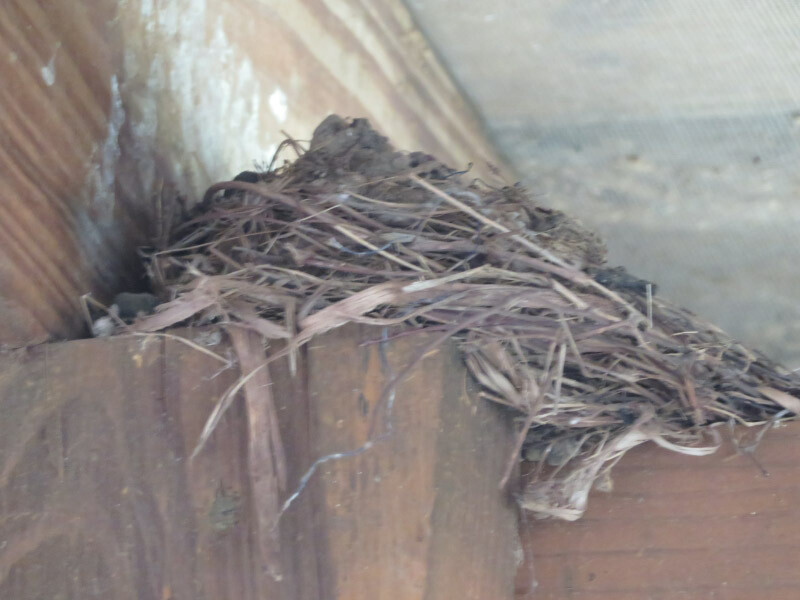 And some robin nests (neat enough to be from this year) on the deck support beams. 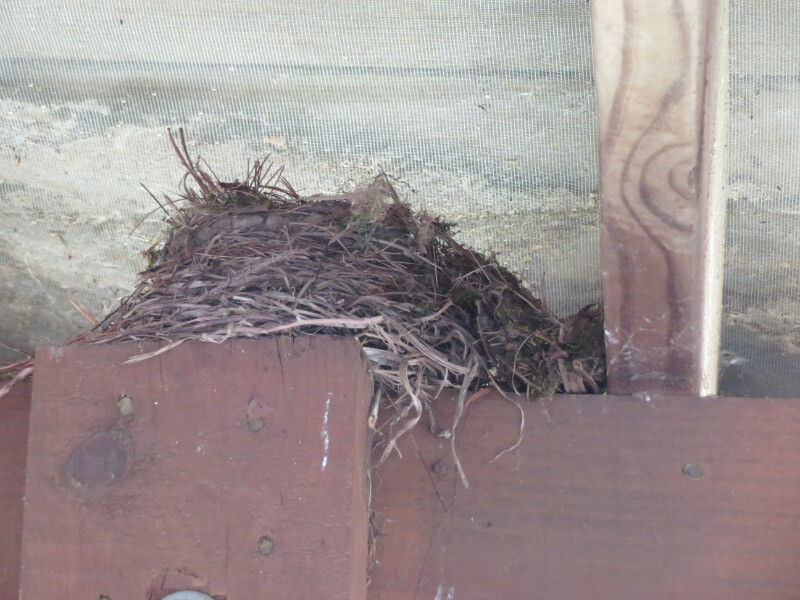 I pulled the stakes out from inside the bin - then lifted the plastic and repositioned it. I put the stakes back in using some branches from the brush pile to cross brace too. Then the material that still needed to decompose was moved with a pitchfork to the newly placed bin. Lesson learned: pine needles and egg shells take longer to decompose than kitchen scrapes and shredded leaves/paper! 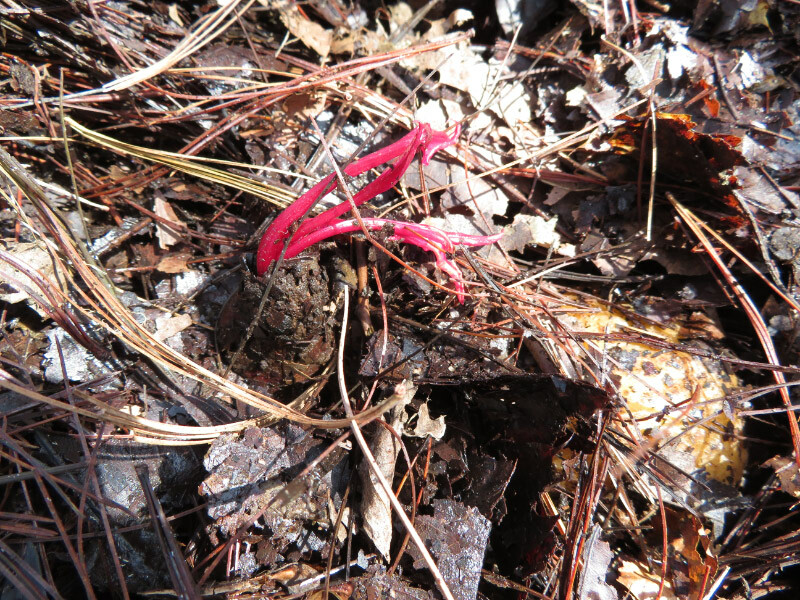 I found something that had sprouted in the compost as I spread the compost from the bottom of the bin around under the red maple in front of the brush pile. Maybe a beet top from last fall’s harvest?